This week the members of Arizona State’s Alpha Chi Omega sorority divided the internet. 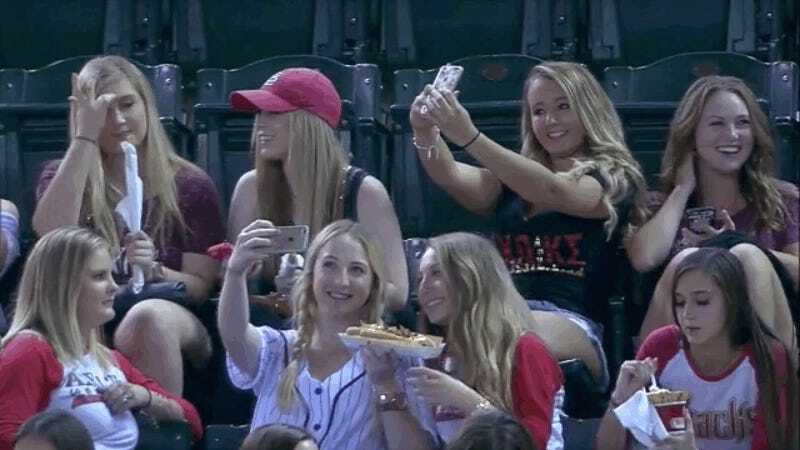 The young women dared to take selfies at an Arizona Diamondbacks game instead of focusing their full attention on baseball. Those selfies proved highly controversial for some dumb reason. The least amused was, no doubt, the Diamondbacks announcers who were incensed by youth. So much for that half of the world that thought these girls and their appreciation for selfies were responsible for the moral downfall of the nation.